The First Amendment protects your right to boycott. Yet, supporters of the Israel Anti-Boycott Act, including Sen. Ron Wyden, want to criminalize that right. This bill would would amend the Export Administration Act of 1979 to prohibit US persons from participating in boycotts of Israel or its settlements led by intergovernmental organizations, such as the United Nations or European Union. The penalty for violating the anti-boycott provisions of the Export Administration Act is a minimum civil penalty of $250,000 and a maximum criminal penalty of $1 million and 20 years in prison. But you have a chance to stand up for the right to boycott in Portland! 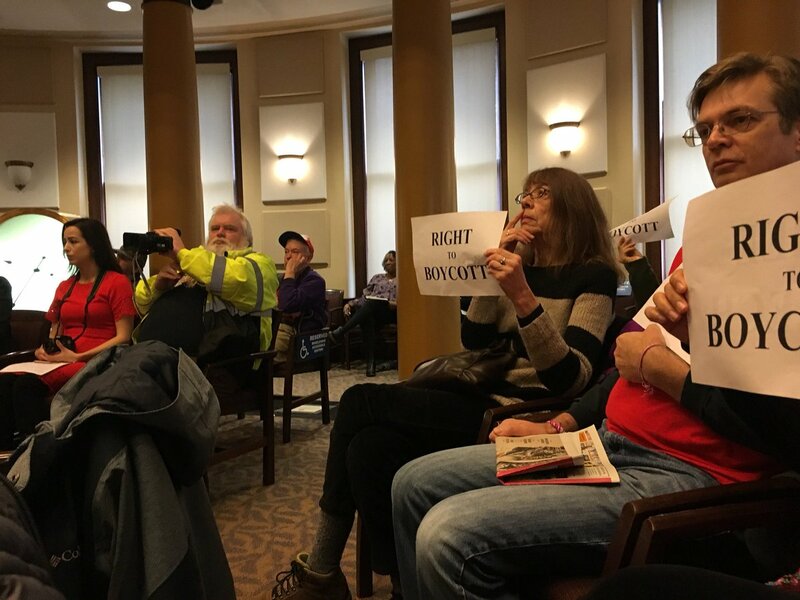 Please tell Portland’s Human Rights Commission to vote on a resolution stating opposition to the Israel Anti Boycott Act, and to present that resolution as a recommendation to the Portland City Council. The City of Portland has taken stances on national issues before such as Standing Rock and DACA, so we are also asking them to speak out on this issue, especially considering that Oregon’s own Sen. Wyden is a cosponsor of the act. The Human Rights Commission will be voting on this resolution at their next meeting on Wednesday, March 7. Please contact the human rights commission.